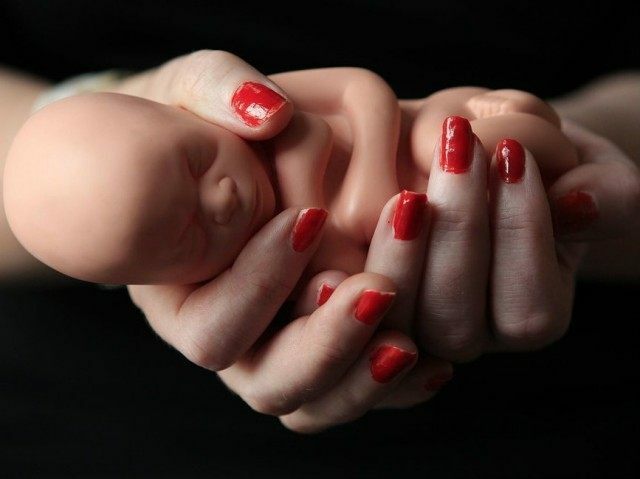 The article, which appeared in Romper, cites all the usual suspects of Big Abortion, such as Planned Parenthood and the Center for Reproductive Rights, to back up its incredible assertion that a human zygote is not a human being. Curiously, the one authority not cited is the one that really matters: embryology texts for medical schools. In her piece titled “3 Ways Science Proves Life Doesn’t Begin At Conception, Despite What The HHS Strategic Plan Is Telling You,” writer Alana Romain embarks on the herculean task of defending the indefensible claim that human life starts sometime after conception. Readers may already start wondering about the cogency of Ms. Romain’s argument when only one of the “3 ways science proves life doesn’t begin at conception” even deals with the question. But as medical experts have pointed out, fertilization shouldn’t be considered the beginning of life, because, well, biology is much more complicated and flawed than our ideological opinions might like it to be. This isn’t much of an argument, and unfortunately for Ms. Romain and other abortion advocates, it doesn’t correspond to what science actually teaches. Even a cursory look through basic human embryology textbooks reveals an unmistakable pattern: a genetically unique human individual comes into being at the moment that the sperm fertilizes the ovum. To propose that after conception the fertilized egg “might” become a human being raises the uncomfortable question of when exactly that might occur. In a normal pregnancy there simply is no other critical moment when the nature of the little human individual is altered in any significant way. If pro-choice advocates are honest, they should have the courage to admit the science behind human embryonic development and if they still want to defend the morality of abortion, they should do so based on the truth rather than on make-believe. The more lucid argument, “Yes, abortion means terminating the life of a human being but sometimes that is a morally acceptable choice,” as articulated by Naomi Wolf among others, is a much more truthful way to approach the debate. In Ms. Wolfe’s groundbreaking 1995 essay “Our Bodies, Our Souls: Rethinking Pro-Choice Rhetoric” in The New Republic, the feminist icon contended that the pro-choice movement needed to come to grips with the fact that abortion is in fact the killing of a human individual, rather than a mass of biological “tissue.” The “slogan ‘Abortion stops a beating heart’ is incontrovertibly true,” she wrote. As long as pro-choice advocates refuse to acknowledge the truth about abortion, the pro-life movement would always have the upper hand, she argued. “Clinging to a rhetoric about abortion in which there is no life and no death, we entangle our beliefs in a series of self-delusions, fibs and evasions,” she wrote. “Many pro-choice advocates developed a language to assert that the foetus isn’t a person, and this, over the years, has developed into a lexicon of dehumanization,” she stated. The debate on abortion can only advance when people face the facts of what actually occurs. And yes, that means acknowledging the scientific fact that human life begins at conception.